Why KimChee is the best SoundCloud WordPress Theme? KimChee is different from any other WordPress Theme for Musician. It’s a very lightweight, simple and minimalist SoundCloud WordPress Theme. 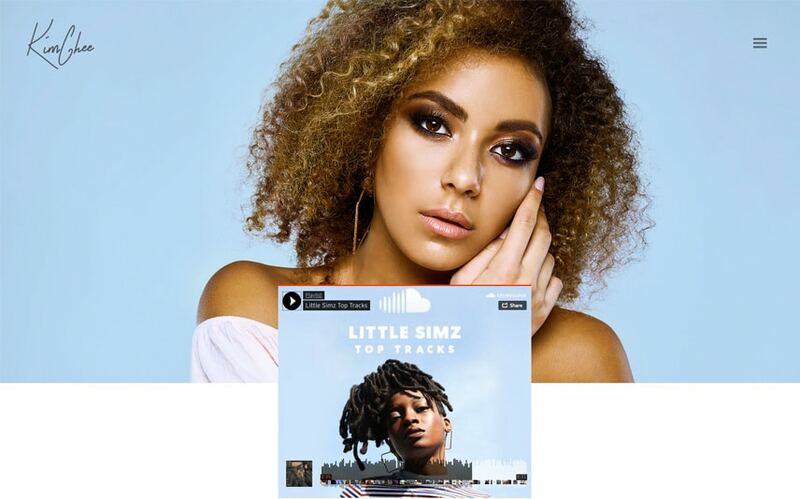 With KimChee, you will be able to showcase your SoundCloud playlist right at the top of the homepage, show your upcoming events using Bandsintown and finally, let your fans discover your Instagram feeds that will populate directly on your music template’s homepage. In fact, KimChee has been designed to make your life easier. As an artist, you have so much social media accounts to manage: Facebook for your posts, Instagram for your photos, Bandsintown for your events, etc. and here come a website. We have implemented all your favourite social media streams into this template so you have nothing to update on your website! 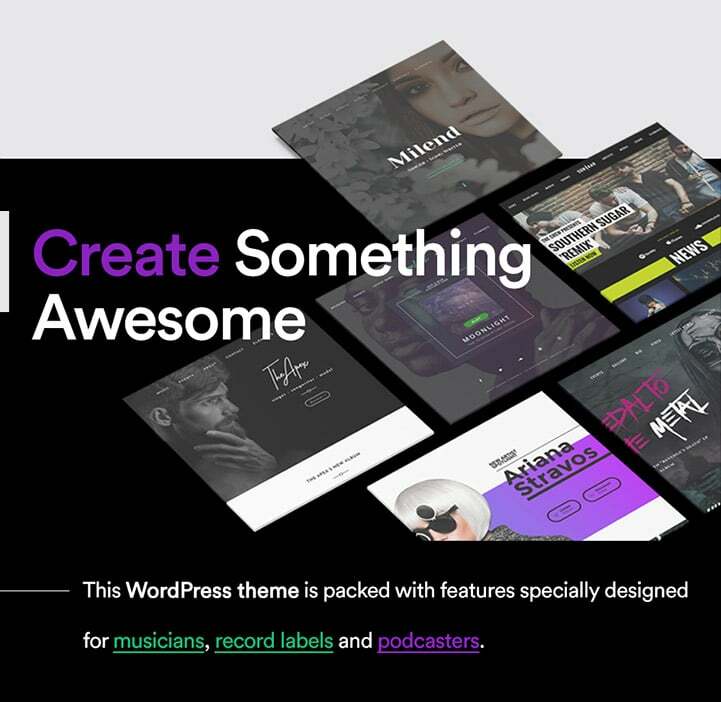 We strongly believe that this template is the best WordPress Theme for musicians who don’t know who to code and want their website up and running in no time. This music WordPress theme is user-friendly, fully responsive and retina ready which means it will work on any devices. Kimchee looks minimalist but has a lot of customization options behind the hood. One of the greatest features of this wonderful website template for musicians is the way it uses your social networks and Instagram integration. 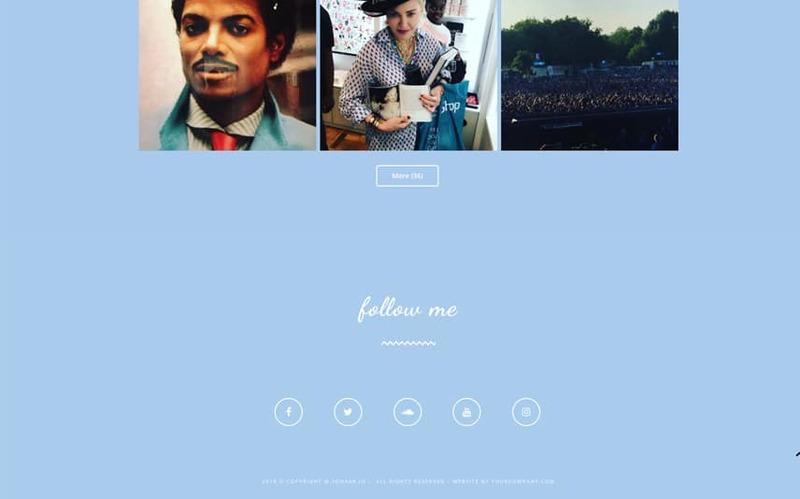 By connecting your Instagram account to this template, your Instagram content will automatically show up on your site. Every time you post new Instagram posts, our wp Instagram widget will display them on any of your pages. It’s Magic! It also means you can now take live Instagram images with your mobile phone and have them directly published on your WordPress website without login into your admin panel! Another great feature of Kimchee is the audio player. You can use Soundcloud or Bandcamp widget as well as our mp3 player to display unlimited tracks and playlist on multiple pages with our WordPress custom widgets. Musician and artist band (and your fans) will love our visual soundwave mp3 music player! 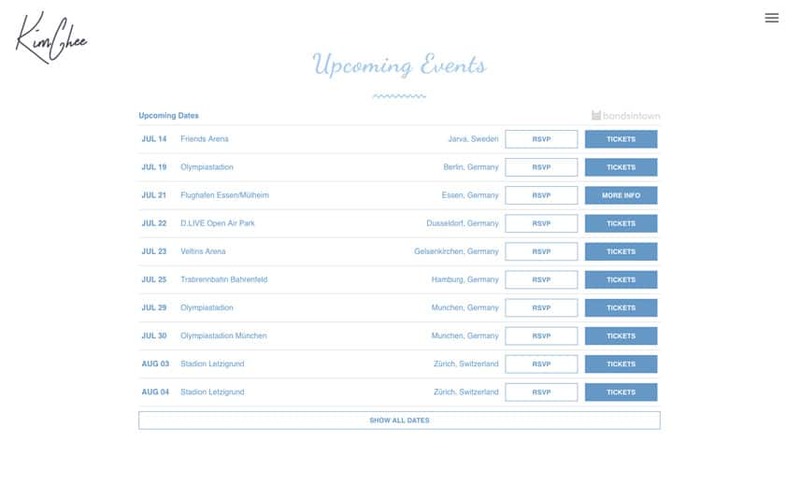 Among all the post types we have included, you will find a powerful events manager to display your upcoming (and past) music events. You can also use our custom Bandsintown widget to display your Bandsintown event dates! Simply powerful! Bloggers will also enjoy this premium WordPress theme for personal blogging. Promote your latest news to the world with different post formats such as articles, videos, promotions and give a kick to your new WordPress blogging theme! With Kimchee, artists and musicians will enjoy working with WordPress. We have included for free 4 awesome premium plugins that worth over $96. Visual Composer plugin will save you time to create different layout styles including boxed and full-width pages with its drag and drop page builder. 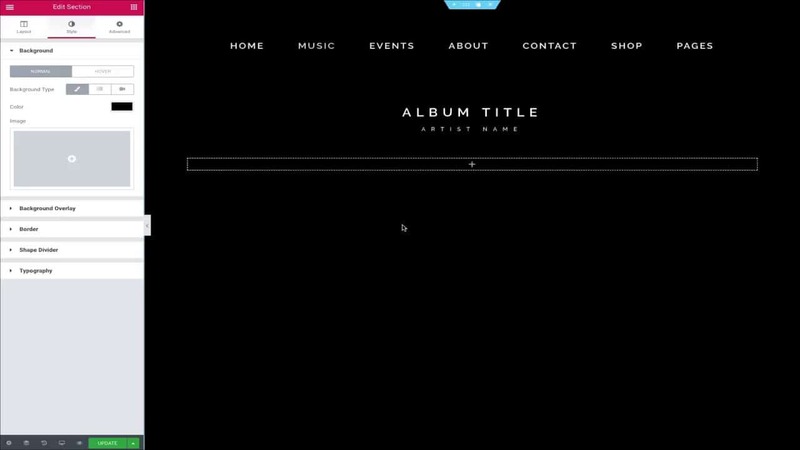 Revolution Slider will allow you to design stunning slides to promote your music events and Essential Grids plugin will help you to build any type of grids including an event gallery, articles, music products, YouTube videos, Instagram grids, etc.. It’s very useful and allows a lot of flexibility. Finally, if you want your music site translated into any language, we got you covered! This WordPress theme is translation ready. Yaw!